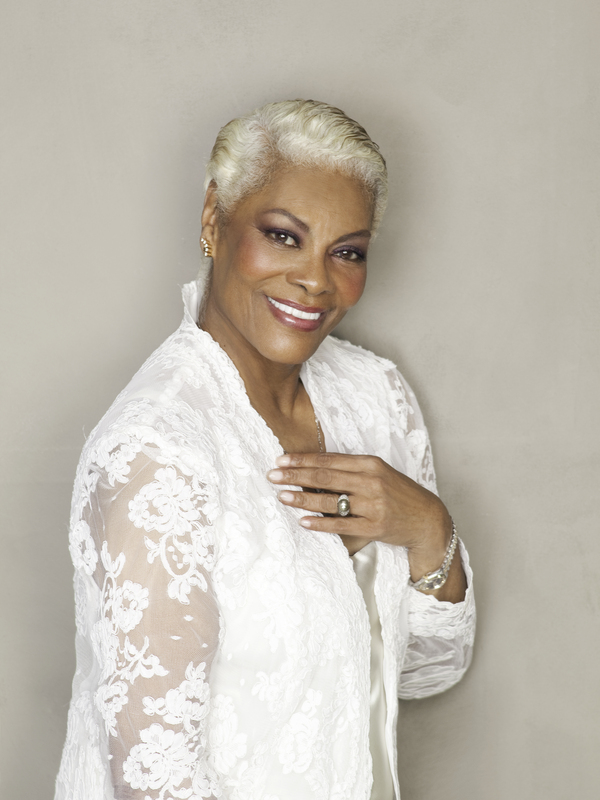 Dionne Warwick is one of the greatest female vocalists of all time. She has 75 hit songs and has sold more than 100 million albums. From Barry Manilow to Burt Bacharach, she’s worked with the best in the business and won five Grammy awards along the way. Her new album coming out September 2, Feels So Good, is a collection of duets with some of the most talented musicians in the industry, including Cyndi Lauper, Gladys Knight, Mya, and Jaime Foxx, just to name a few. Dionne is also currently touring and I’m attending her August 15 performance in Atlantic City, NJ at Revel Casino, so stay tuned for my review of the show. For more information on additional dates, make sure to visit her official website. Below is my interview with Dionne Warwick about her illustrious career that has spanned more than 50 years. I hope you enjoy it. 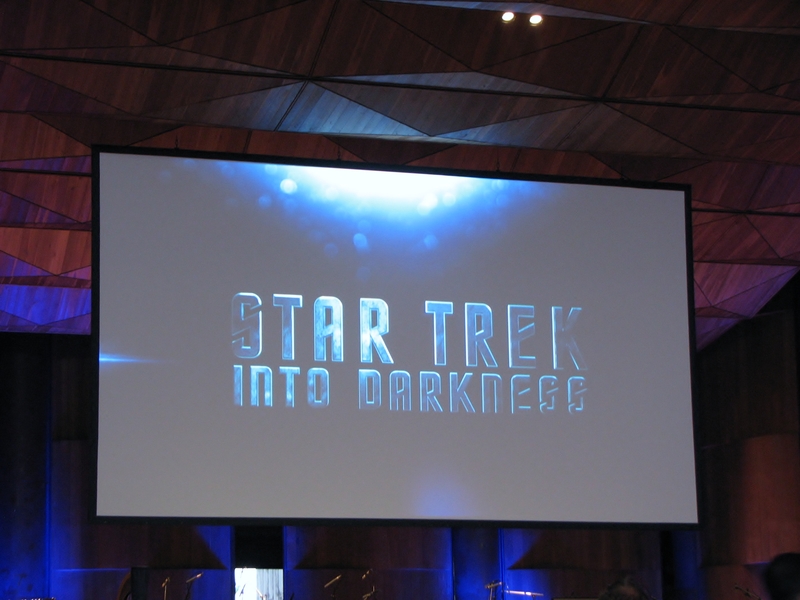 This past Thursday my girlfriend and I went to go see a screening of Star Trek Into Darkness at the Mann Center for the Performing Arts. However, this was no ordinary movie screening. In addition to seeing a terrific film for the first time, we got to hear – and see – the Philadelphia Orchestra perform Michael Giacchino’s phenomenal score as the movie played. 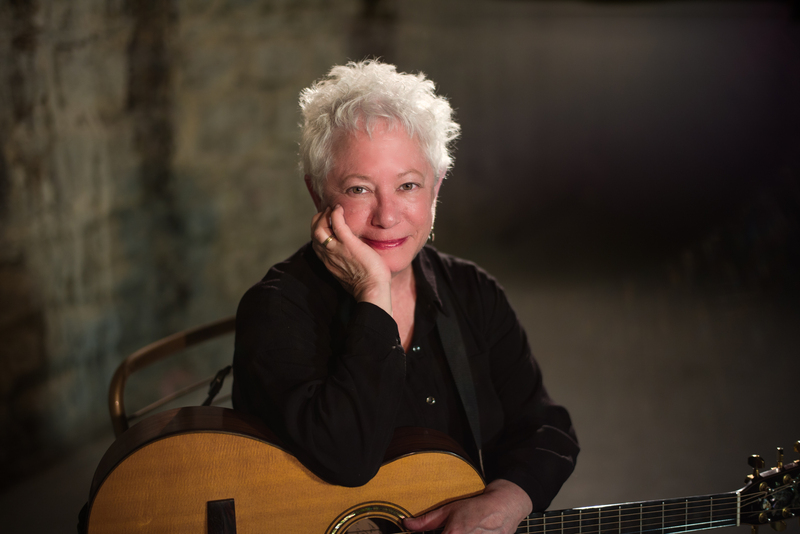 I recently had the opportunity to speak with one of the greatest singer-songwriters of all-time, the two-time Grammy award-winning folk music legend Janis Ian. She will be performing on Saturday, August 16 at the Philadelphia Folk Festival and you can find Janis’ other tour dates on her official website. 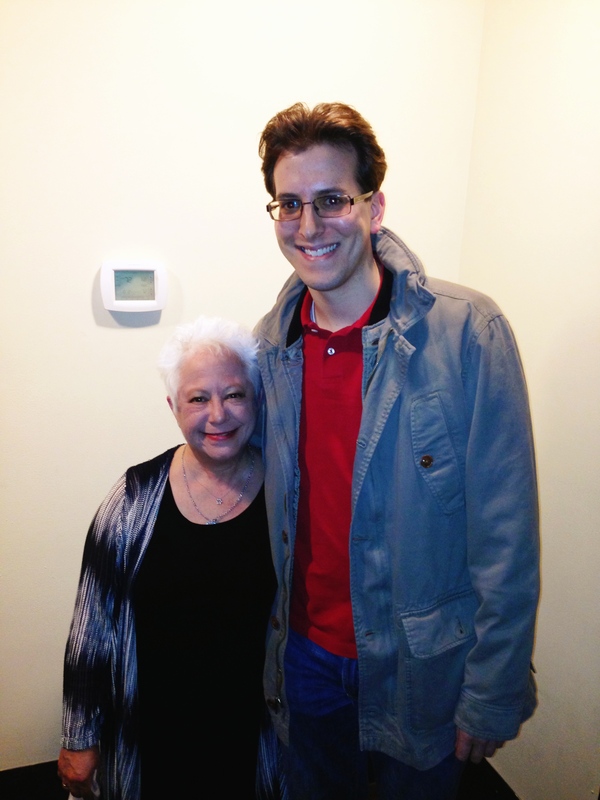 Below is my interview with Janis. I hope you enjoy it. I recently had the opportunity to interview the Grammy award-winning artist Melissa Manchester. Known for her signature sound and countless hits, including “Midnight Blue,” “Don’t Cry Out Loud” and “You Should Hear How She Talks About You,” Manchester has been an icon in the music industry for more than 40 years. I’m attending Melissa’s concert in New York City on February 16, and it should be a fabulous Valentine’s Day weekend performance. If you’re interested in attending this show or another one of her concerts, make sure to visit the tour page on her website. It was a delight speaking with Melissa, and I hope you enjoy the interview below. For your upcoming studio album, You Gotta Love The Life, you used Indiegogo to include your fans in the process and wound up raising more than $40,000. Were you happy with the experience, and how was it received by your fans? It was a mind-blowing experience. It was my students – I teach at USC, at the Thorton School of Music – it was my students that awakened me to this new definition of the marketplace. They helped lead the team and do the project management. I said yes. It was fascinating because my fans are so interested in the process, actually, almost as interested in the process as I am; and because I was doing so many Facebook entries and all that, it was so sweet, and started to become this living, breathing entity. And when the campaign was over (laughs), the fans said “please don’t stop posting, it’s so wonderful to read what you have to say.” I would do it again in a heartbeat. I just thought it was fascinating. Now that the Indiegogo campaign is over, what’s the next step for your new album? Well, the album is half-recorded and I’m going back into the studio in January to finish it and orchestrate it, and mix it, and master it, and all that. Hopefully it will come out either this spring or this fall, definitely one of the two. You’re releasing this on your own, directly to the fans, correct? At the moment I am, and if fans go onto my website the first single is free to download as a thank you gift to them. It’s a rethinking of the classic “Be My Baby,” which I didn’t realize, this year, is 50 years old. So, it’s a lovely way to celebrate that song. My favorite song by you is “Don’t Cry Out Loud.” In Clive Davis’ recent autobiography, The Soundtrack of My Life, he said that originally you weren’t in love with the idea of singing the song. What’s the story behind that? Well, I believe that Mr. Davis, like many of us, has selective memory, and that’s fine. I loved the song the way my friend Peter Allen first presented it, which was very quiet and very intimate. Clive Davis’ version was this big anthem, and at the time it turned out splendidly, and I’m grateful for that. Clive and I had a lot of success and (laughs) a lot of failure together. It’s interesting that you mention it originally being a softer song because now when you sing it live it’s usually a more stripped down version. Is that how you originally imagined it? When I’m doing my duo show with myself and Stephan Oberoff, my keyboard player, we do a very quiet version and it really makes the crowd go crazy because they’re inside the song like I am. And when we’re with a symphony or my larger band, it’s the larger more well-known version and everyone is delighted to hear that as well. That’s nice that you can have such flexibility with the song. That’s the magic of live performance. You can reinterpret things on the spot – it’s fantastic. Speaking of live performances, I’m attending your concert on February 16 in New York City. Do you have any new material from your upcoming album that you’re going to try out on the hometown crowd? Sure, there’s plenty of new stuff from the album that will be all over the stage, and because of the occasion of Valentine’s Day, you never know what I might sing. While at NYU, you were enrolled in a songwriting class taught by Paul Simon. Today, you’re an Adjunct Professor at the Thorton School of Music. What’s a typical semester like for someone enrolled in your course? Well, I teach a class I call “The Art of Conversational Singing.” I teach mostly the pop students and some musical theater kids, and they bring in whatever they want to learn about that day. Sometimes we discuss their compositions, and sometimes they want to talk about the life on the road – surviving that. I always assign them songs from the first volume of the American Songbook because I want them to see what singing was like, what breathing was like when songs were melody driven, as opposed to rhythm driven, which is the aesthetic of today. And it’s all very interesting because there’s no way they can imagine what a career feels like in the bones but I can absolutely reimagine what it feels like to be at the beginning of that adventure. So, what I’m trying to do is help them survive it as intact as possible. That must be interesting for you now being the teacher when you were previously the student. I imagine it’s a surreal experience. (laughs) It is surreal. Totally surreal, that’s the word. You and Barry Manilow, who I adore, met while singing jingles for commercials, and you both identify as singer-songwriters. Is this one of the reasons that your friendship has remained so strong over the years? Well, we really grew up together. And because we shared the experience of Clive Davis together, we really (laughs) know what that kind of experience is all about. We have enormous respect for each other, and surviving in this industry, relatively sanely, relatively stably, relatively well is no small feat because, as you well know, the industry is littered with cliches of people who were enormously talented that couldn’t chew gum and walk at the same time. So, to have been gifted with this long career that shows no end in sight, is something we share and our enormous respect for each other. Our idols were the singers that did have very long careers: Ella Fitzgerald, Judy Garland, Rosemary Clooney, and Tony Bennett. Those people were our touchstones of the kind of long careers we were looking for. We were never really rock and rollers, so it’s sort of interesting that I’m number 92 on the list of top 100 rock and roll females (laughs). We’re very loving friends, and part of the goal of my Indiegogo campaign was to donate a portion of the funds to the Manilow Music Project, which I think is just a fantastic organization. He has his fans donate used musical instruments and he has them repaired and donates them to public schools. You’re currently co-writing a new musical, The Sweet Potato Queens. What’s the premise behind it and when should fans expect to see it on stage? It’s a little too early to talk about it other than that I’m writing it with Rupert Holmes and Sharon Vaughn, and we’re just starting to present it for workshop. You’ve been in movies, plays and, of course, Blossom. How is acting on stage different than being on screen? Do you prefer one over the other? Acting is sort of scary business. With singing you always have the energy of the music to inform you, regardless of how you’re feeling or what you’re going through in your personal life. Whereas, with acting there’s nothing but you and the silence, so you better be really present and in that moment. But all creative energy has room for all versions of expression. Whether I’m writing a score for a Disney movie, or writing a song for my upcoming album or writing a show, it’s all coming out of the same hunger. I’m really still as hungry to create as when I first started. You were nominated for two Grammy awards before winning the 1982 Grammy for Best Female Vocalist. How did it feel to win the big one? It was delightful, of course, but it was certainly surprising because prior to that I was nominated for those mid-tempo ballads that I was (laughs) sort of known for. So, to be nominated for “You Should Hear How She Talks About You,” which was this great disco record that the great Arif Mardin produced for me was so surprising but so delightful. At first, I couldn’t quite get it and sync up with it. I couldn’t totally accept the gift that I’d been given by my friends Tom Snow and Dean Pitchford, who wrote it for me. Now when I sing it live, I always show the videos of me performing it on Solid Gold and on the Grammys, and it’s lovely to be able to chuckle along with the audience about the shoulder pads and my hair cut (laughs) and all that stuff. And the song is great, it’s just great. I’ve been very fortunate to have lots of great songs cross my path. Your father was a bassoonist with the Metropolitan Opera. How did his career affect your own? There was always music around the house. My Mother was a wonderful singer. And my Father sometimes would take me to the opera with him to dress rehearsal when I was very very little. The grandness of it was very normal for me, the big vocal sound was very normal for me. The long held notes, the expressive interpretation – that was just the way music was supposed to be sung, and it was validated by all of the popular singers: Ella and Judy and Rosie and Sinatra and Tony Bennett and Nat Cole, and all of those people. It was all part of a continuum. It’s what really informed me. Those are great performers to grow up with and experience. Much better than what we have today. Well, I think so. That’s why I assign my students songs from the first volume of the American Songbook. I want to make sure they understand that the music form started with Stephen Foster and that what they hear today is only the latest version, and that the there was an earlier version that was melody driven and not rhythm driven. The lyric writing and the melodic structure – that’s something they need to feel and dig into to help not only bring it forward but to also bring it into their composition. You were one of Bette Midler’s original Harlettes. How was it working with the Divine Miss M? She was sensational. She’s a truly brilliant woman, and as she says, she has the soul of a librarian (laughs). I was fortunate to work with her at the very beginning of her career. I worked with her for six months, right after she had been on the Johnny Carson show for the first time. To be part of watching that ascendancy from an interesting and unique vantage point, which was to the left of her as the toots in the middle, was fantastic because she gave a voice to the gay audience, which had been marginalized up to that point. She galvanized their culture and population through her energy and focus, and her choice of material was superb. Her vision on stage was superb. It was a magnificent experience. I saw Rod Stewart earlier this week and he was fabulous as always. And, at one point in the show, he brought out his daughter, Ruby, to sing a couple songs. Do your children share your musical talent? My son is talented but he’s more of a shower hummer (laughs). My daughter and I sometimes sing on stage and it’s lovely because there’s a tone in her voice that is from me – it’s my gene pool – and yet she has her own smokey, jazzy voice. She’s sort of a throwback like me. She likes those standards, and those long lines to sing. So, yes, we have sung together. Aside from the classic singers you previously mentioned, who are some of your favorite performers to listen to? I like Radiohead, Sarah McLachlan and Bonnie Raitt is a giant to me. I love Beyonce, I think she’s remarkable. And I love Katy Perry. I think she writes fantastic anthems. Since you mentioned Beyonce, what are your thoughts on her secretly releasing her new album on iTunes? I think the marketplace is open for absolutely anything anybody can imagine. I heard that we are now in a frictionless industry, which means you don’t have to necessarily bend to the convention. If you can think of a new way to do it, it may just work. That’s true. Today, the delivery of content, whether it’s digital music or e-books, is much more direct. Speaking of which, you recently streamed a concert online from your studio for your fans to watch. For those that missed it, will it be available to view on your YouTube channel at a later date? No, when you do it on StageIt.com it’s just a half hour or 45 minutes and it’s gone. So, when people jump on, it’s just a lovely communal experience and that’s it. It sounds like it went well. Would you consider doing it again? Oh, I’m gonna do it again. Are there any other exciting projects you’re working on that you’d like your fans to be aware of? I’m starting rehearsals today for the Colors of Christmas tour that starts tomorrow in Cerritos and goes across the country for nine days, and it’s kind of wild and fast, and I’ll be home by Christmas Eve. But between now and then, I’m gone. 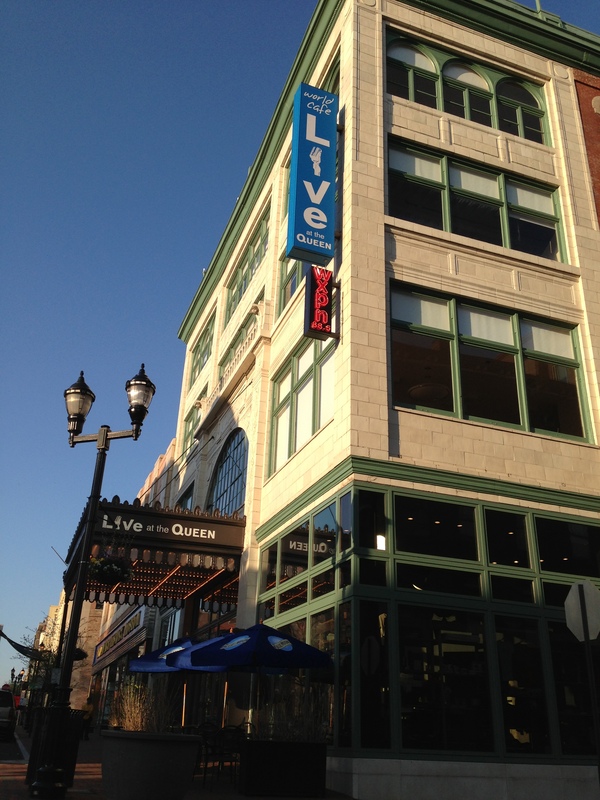 Last week I attended a Janis Ian concert at World Cafe Live in Wilmington, Delaware. 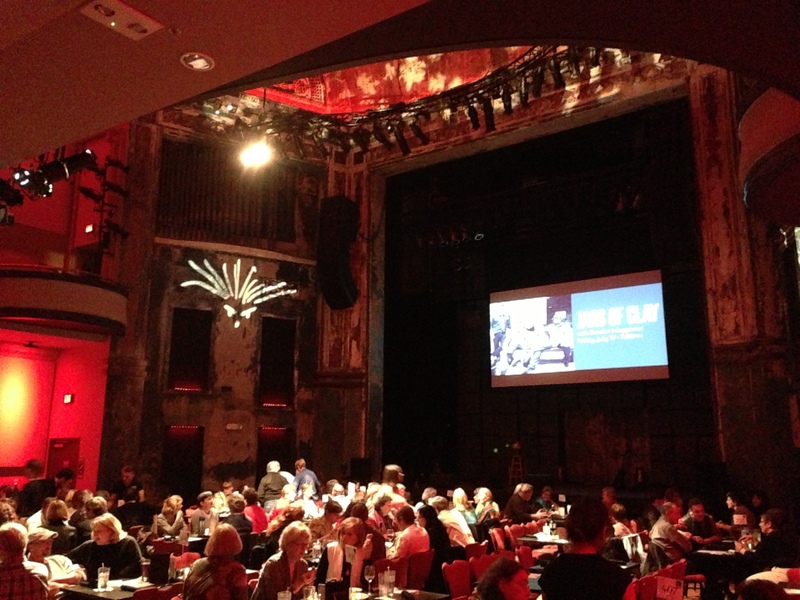 The venue, a renovated vaudeville theater, was beautiful. There was a bar on the far end of the vast room, and in between it and the stage were tables of six to eight people. This communal atmosphere made for a great, conversational environment. Within minutes of arriving, I got to know my neighbors and what brought them to the show. Some had seen Janis many times, while others, like myself, were newbies. Prior to the music starting, the attentive and polite wait staff took drink and food orders. Just as my salad arrived, Diana Jones, the opening act, took the stage. With a guitar in hand, she told us how grateful she was to be touring with Janis and the story behind her first song, which escapes me. What struck me was her unique voice and interesting lyrics. If you’re into folk/country music, she’s worth checking out. As Dina’s set came to a close, she introduced Janis Ian and provided backup vocals on her opening song. After striking the final chord, Janis welcomed the crowd and launched into “From Me to You,” a track off her best-known album, Between the Lines. This fiery number was deftly sung by Janis, who brought the song’s complex vocal arrangement to life with her still-magnificent voice. As expected, Janis performed her biggest hits, including “At Seventeen” and “Society’s Child.” She also brought Diana Jones back onstage to perform a wonderful, new song, “I’m Still Standing Here.” For your enjoyment, I’ve included a video of this performance. Janis ended the show by sitting on a stool with her guitar and singing, without a microphone, “Jesse.” Her voice was in rare form as it effortlessly bent notes and conveyed the raw emotion contained within the song’s poignant lyrics. As her final guitar chords reverberated throughout the silent theater, the crowd rose to its feet and met her with a well-deserved standing ovation. After the show, Janis took the time to meet a long line of fans and sign memorabilia. When I approached her, I told Janis how I recently discovered her music and that “Take Me Walking in the Rain” was my favorite song of hers. We also spoke about me being a writer and the novel I’m working on. After taking a photo with her, Janis said to me, “Send me your first novel when it’s done.” I beamed as I walked out the door, realizing what a grateful and positive person she is. Despite the great fame and success she’s achieved, Janis values her fans and gives them her all. After meeting her, I have more respect for what she does and who she is. Like the songs she’s sung, Janis Ian’s not done. This train still runs.